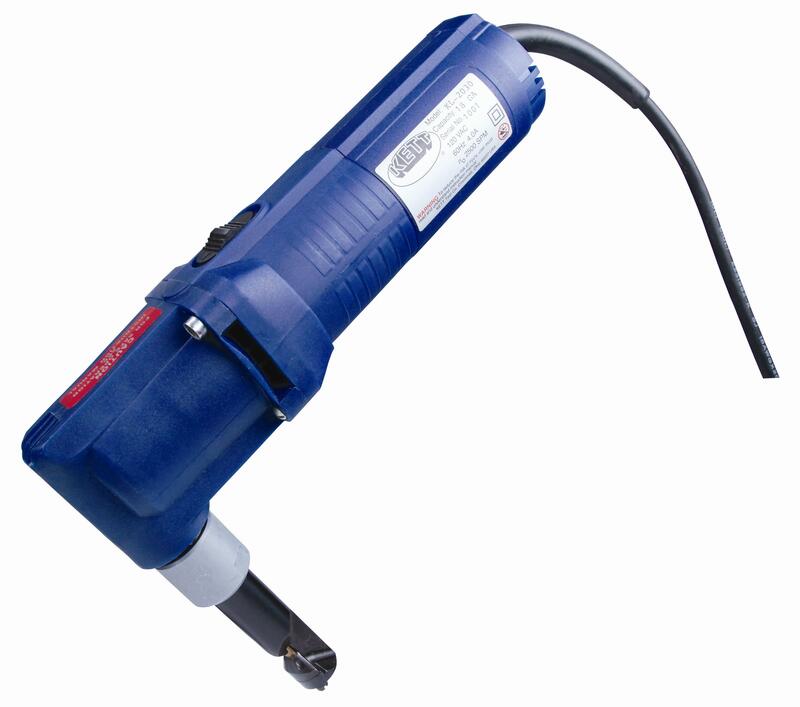 This straight-handle electric nibbler cuts C. R. mild steel up to 18 gauge and most grades of stainless to 20 gauge. The long neck allows easy cutting of corrugated sheet and flat sheet at over 80 inches per minute. Weighing 4.5 pounds, this light weight nibbler creates a clean burr free cut, 1/4 inch wide.